The first ring road in Alberta was completed in the fall of 2016. The planning for this ring road – the Anthony Henday – started back in the 1970s. Many commuters who use the Henday may not know that the concept for this major piece of infrastructure pre-dated the GPS, internet, and iPhone they use to navigate it today. From concept to completion, it might take 20 to 35 years or more for a major piece of transportation infrastructure. This timeline can vary depending on the size of the project. For a project like the Henday with major bridges, interchanges, and flyovers, it takes decades of planning. Once the decision is made on a particular location, it then takes time to acquire the land so that it’s available when the project is needed. Municipal and industrial growth, as well as funding, are some factors that help determine project need and start date. Not to be confused with twinning Highway 15 and the bridge over the North Saskatchewan River into Fort Saskatchewan, the NERC project is a very early stage planning study of a proposed future bridge over the North Saskatchewan River in between the Cities of Edmonton and Fort Saskatchewan. The time horizon is 25-35 years. Similar to the Henday, this timeline allows the necessary planning and land acquisition before additional growth occurs. More information on this project can be found at www.edmonton.ca/northeastrivercrossing. Local government, industry organizations, and the provincial government are working together on several additional projects of importance to our region that will have more of an immediate impact. 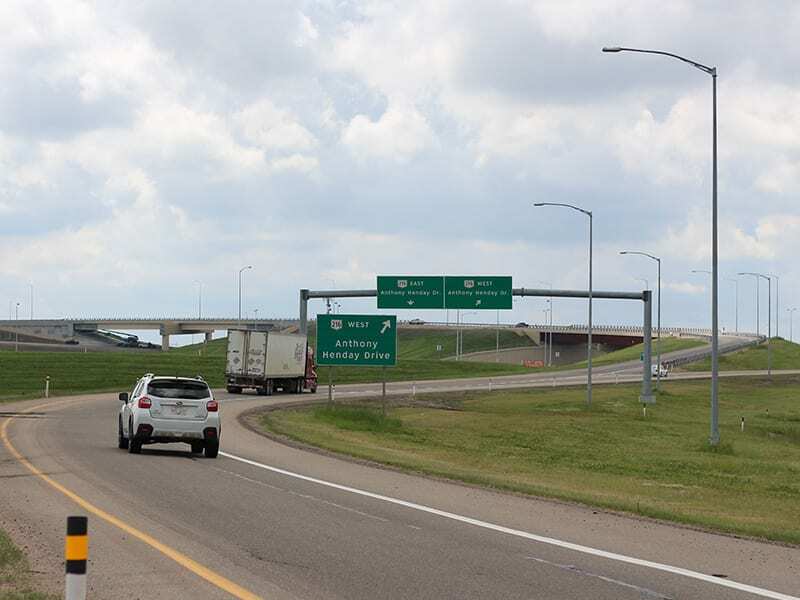 Highway 15 Twinning: This project to twin Highway 15 including the bridge was announced by the Government of Alberta this spring, with construction commencing as soon as 2019. High Load Corridor Study: Known by some as the heavy load study, work is underway to determine the needs of overweight and over-dimension routes across the province. These projects, and others, will help address municipal and industrial needs across Alberta and in the Industrial Heartland. Local Infrastructure Upgrades: This includes signals at several places on Highways 643 and 28A. Also, upgrades to intersection 15/37/825 is in the design phase. For more information about transportation planning and projects in the region, or Life in the Heartland, visit lifeintheheartland.com, follow us on Twitter and Facebook, or email info@lifeintheheartland.com.